This simple kitchen idea is about finding balance in the modern home with black finish for the cabinets and white finish for the worktops. 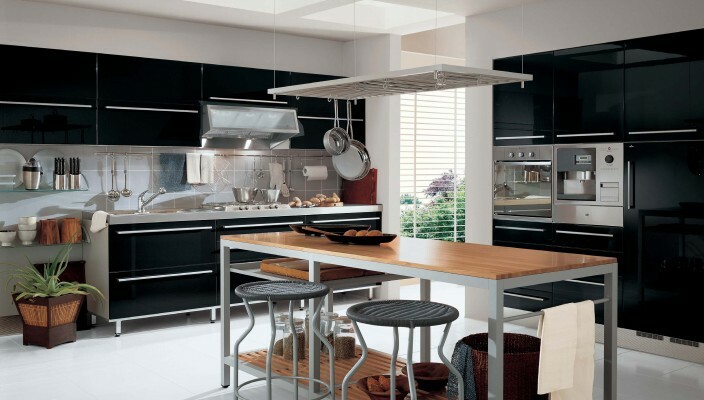 This simple and yet stunning kitchen idea is about using a black finish for the cabinet doors. The design mainly works for the simple reason that there is no unwanted detailing except for the lining on the black frontal parts of the cabinet. The main worktop at the center has been designed with wooden top in a natural finish, while the worktop of the basin area is in a white finish for maximum balance and contrast.